“After working in black and white for many years I wanted to work in color. 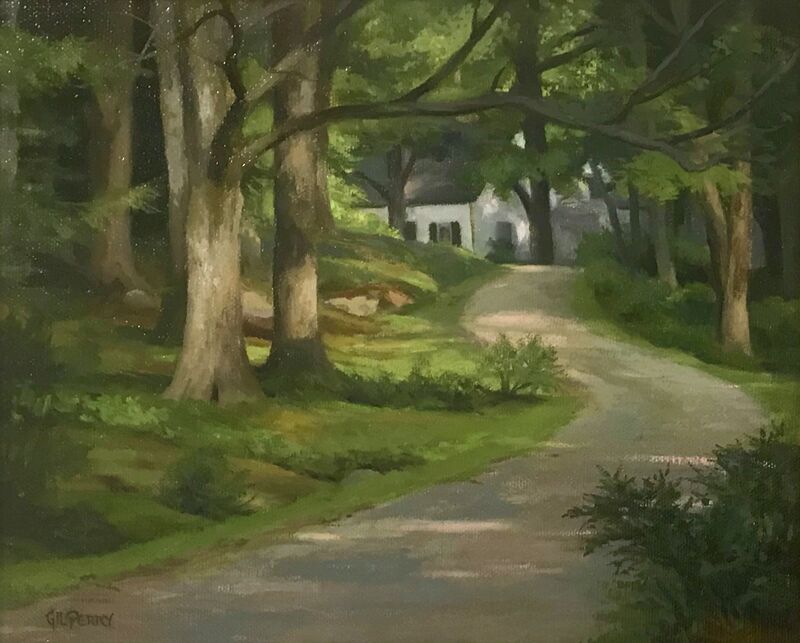 Fran Weston Hoyt introduced me to the painting principles of her teacher Frank Vincent DuMond (1865-1951), a noted American Impressionist painter. Dumond developed a carefully controlled premised prismatic palette to capture the effects of light in nature. 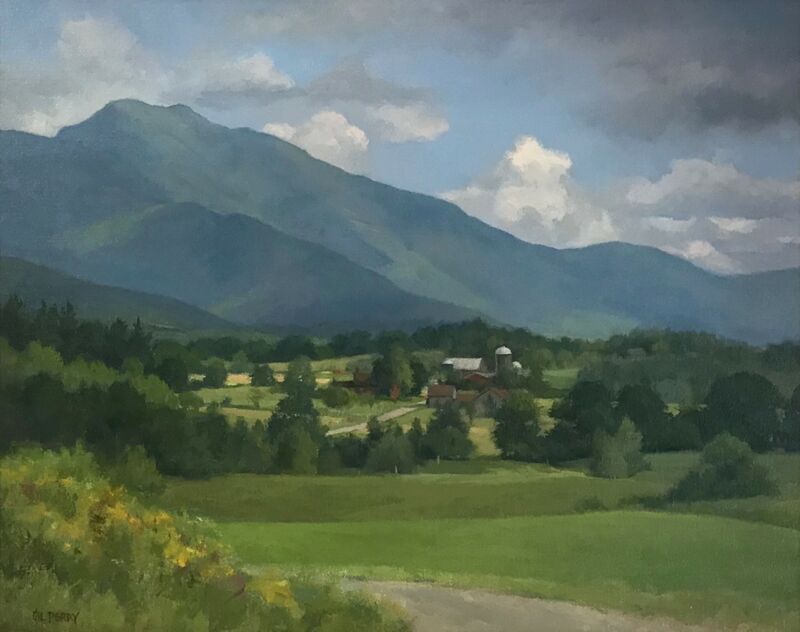 Gil Perry’s work is of the American Impressionist tradition, using detailed lines and controlled compositions to portray the artists direct observation of the changing light of the natural, and often pastoral landscape. 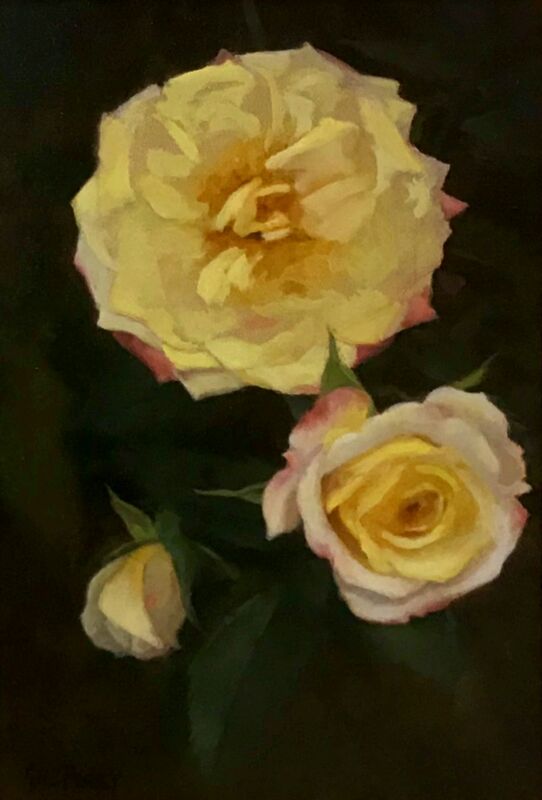 After spending nearly three decades working almost exclusively with the medium of drawing, Perry now also works in oils. The artist applies many fine layers of pigment, using detailed and precise lines, to create works which often push the boundaries between impressionism and hyper-realism. Perry’s process is one of studied patience. The artist often returns to the same location, year after year, to complete a single painting. 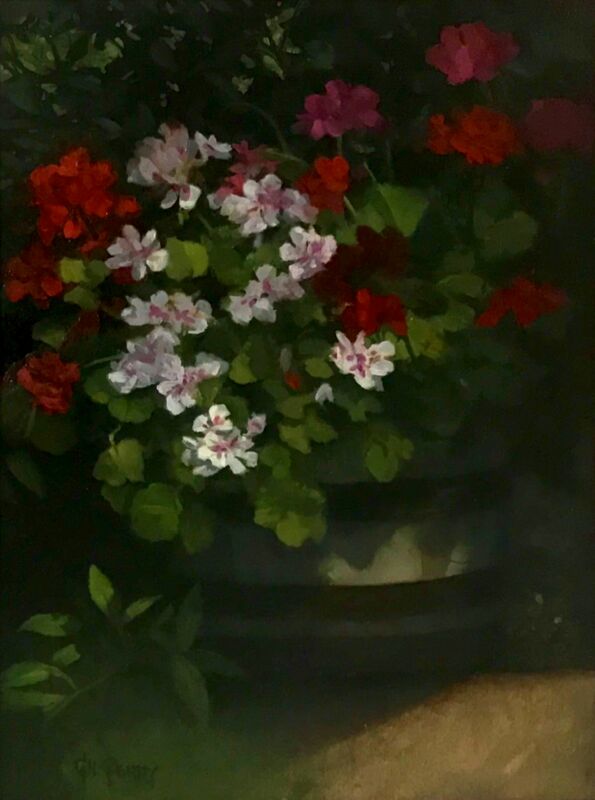 The oil paintings of Gil Perry, done in the plein-air tradition, with techniques and subject matter of the American Impressionists, yield work to also be included in the genres of hyper and photo-realism. Perry does indeed bridge the gap between the classic and modern masters.